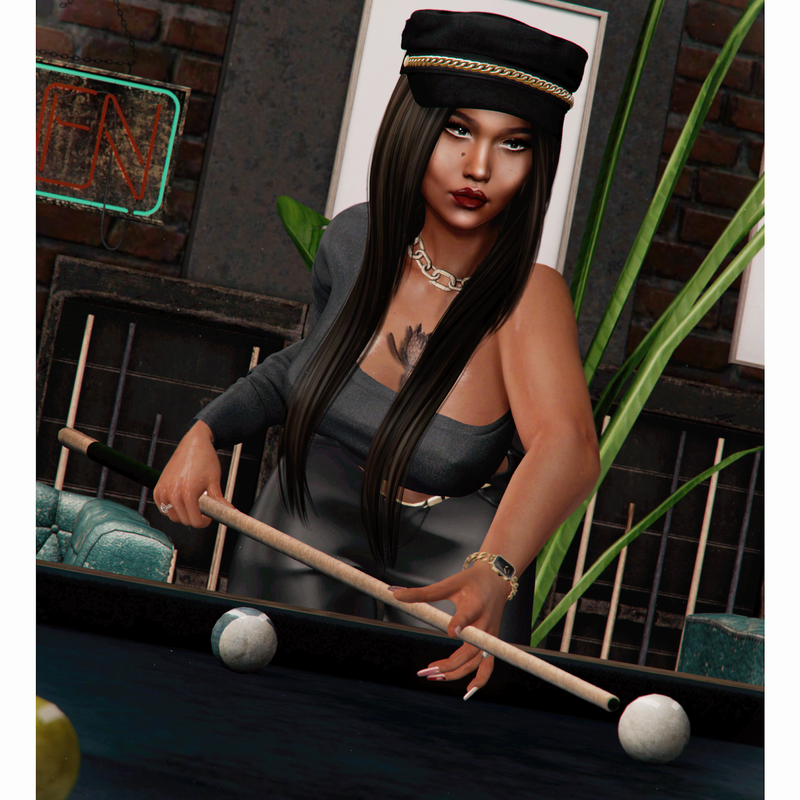 Yesterday after another long day at the office, some of us agreed to meet up at Cindy's; the pool hall and bar that recently opened on the corner of 6th and 7th avenue. My last client for the day was not too far from my condo, so I figured that I can go home and freshen up before meeting up with my co-workers at the hall. I grab the cutest one sleeve top from cosmic dust that I had been eyeing for some time now out of my closet along with my foxy hat to match. I hadn't had much time to explore the city as much as I would like to, but this weekend I will be sure to venture outdoors, but for now, my goal is to win a pool match or two!